It’s (nearly) time to shake off the last of winter’s chill and prepare our homes for what is perhaps one of the prettiest seasons in the south – SPRINGTIME. With an official start date of March 20 this year, Spring is often heralded by fresh flowers in the flowerbeds, new green growth in those long-dormant trees and the annual pastime called Spring Cleaning. Aside from the all-important surface stuff – like reorganizing closets and deep cleaning baseboards – there are a handful of issues you should pay close attention to before the season begins. With all of the rain, flooding, wind and low temperatures from late 2009 to early 2010, this winter may have been particularly rough on your home. The friendly folks at Highlight Homes and Highlight Home Restoration in Atlanta have compiled the following home maintenance checklist that you may want to follow in order to save yourself possible major expense and needlessly darken your dreams of Spring Break on a distant shore. * Spy for holes in your siding or foundation walls and filling them in with expandable foam – this will prevent creatures and water from creeping in. * Make sure that the ground around your home slopes AWAY from the foundation (about 1 inch) – otherwise, you could have a settling issue on your hands. * Keep an eye out for shed wings or pellet-shaped droppings, which could indicate a possible termite infestation. 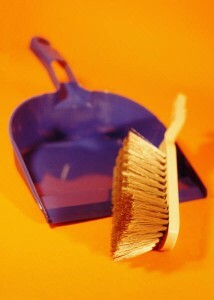 * Clear all the dead leaves from around the base of your home – rodents, snakes and spiders love to nest in these. Make Sure You have a Good Roof Over Your Head – Check for damage to your roof by beginning in the attic or rooms directly under the roofline. Look for water stains or slight discolorations to the ceilings and rafters – indicating a possible troublesome leak. Next, examine your roof from the outside, look for missing or damaged shingles and pay close attention to the siding under the roof eaves. An ounce of prevention is ALWAYS worth a pound of cure – so make sure your gutters and downspouts are flowing freely and are clear of debris. If you believe you may have a leak, it’s always best to leave roof repairs to a professional. Keep in mind that asphalt shingles are designed to last about 20 years, so if you live in an older home – it may be time to replace the roof before those dreaded April showers begin. Highlight Home Restorations can help! All Decked Out – Check for damage to your deck by paying particularly close attention to water stains and warping – especially where the deck connects to the house. This could indicate possible wood decay, which could weaken the structure of both your deck and your house. If you have any question about the overall structural integrity of your deck, call in a professional to check it out before you host your first seasonal grill-out. If you feel like your deck’s structure is in good shape, but could use a quick makeover – get rid of moss and mold by pressure washing and adding a fresh coat of deck stain. If you don’t have a deck, but have always wanted one – contact Highlight Home Restoration. We can custom design any outdoor living space to fit your family’s needs and unique personality! Stay Cool – Make sure your outdoor A/C condenser is clean and free of debris by FIRST switching off the power, and then carefully removing leaves, twigs, and weeds. You can use gloved hands or tools such as a vacuum attachment, blower, or garden hose. To make sure it’s performing at its optimal level, you should have a professional air conditioning contractor inspect and maintain your system as recommended by your system’s manufacturer. Replace your air filters every 1 to 3 months. All the Trimmings – Check the windows, doors and trim around your home for deterioration. At any indication of wood rot, call in a professional to patch and repair – or replace. If water gets behind the trim or window seals, you could be looking at a far costlier repair in the future. A New Spring Coat – Carefully inspect your siding and trim to see if a new coat of paint is in order. Paint not only enhances the beauty of your home’s exterior, it also serves to seal and protect. Stay Sharp – Check all of your outdoor tools to make sure your lawn mower blades, edgers and trimmers are clean and sharp, and ready to roll. Replace if necessary. Go With the Flow: Check your lawn sprinkler system for leaky valves, exposed lines, and improperly working sprinkler heads. If there is an area of your yard that collects too much water or doesn’t get enough, run the sprinklers to try and pinpoint the problem. If it’s not something you can fix yourself, call a professional before the heat of late Spring/early Summer hits and your lawn needs water. Outside Looking In: Stay on top of your window and door screens by cleaning them at the start of the season and checking for holes. If holes are bigger than a quarter, that is plenty of room for bugs to climb in. Patch holes or replace the screen entirely. It’s a wise move to store any screens you remove to patch holes next year. Tighten or repair any loose or damaged window and doorframes, and repaint. Replace broken, worn, or missing hardware. Make sure screens are securely fastened or a gusty wind could damage them beyond repair. Tighten and lubricate door hinges and closers. Bug Off! In order to control pests, make certain to limit the amount of garbage and debris around the exterior of your home. Do what you would do inside, and get rid of junk. Inside, check the house for entrances and gaps where mice and insects may be tempted to come through. Seal up cracks, even if you just did so in the winter. Mulching the yard this spring? Use a liner underneath. It’s good to keep a barrier between your mulch and your home. Garage Door Check-up: This is a great one for those brave do-it-yourselfers out there. 1. Begin by giving the door and mechanism a top-to-bottom inspection. If you notice that a pulley is out of line, move it into the correct position and secure it with lag bolts.2. Clean and lubricate all moving parts, including the pulleys, cables, tracks, rollers, and pins. A lightweight bicycle lubricant should work nicely, but consult the garage door manufacturer’s instructions to make sure you’re using approved lubricants and/or cleaners. Be sure to wear heavy rubber gloves when working with lubricants and cleaners.3. If approved by the door manufacturer, spray a bicycle cleaner/degreaser on the pulleys, then clean out the groove with a towel. You can also use an old toothbrush to clean the pulleys. 4. Spray some of the cleaner on your towel and wipe the cables on both sides of the door.5. Be sure to pay attention to all the moving parts, and don’t forget to lubricate the bearings of the rollers. Clean and wipe out the tracks for the rollers, too.6. Tighten any bolts holding the door sections together, and clean and lubricate the locking mechanism.7. If your garage door opener uses a chain drive, clean and lubricate the chain. Be sure to clean out the track for the chain. If you are at all uncomfortable doing any of these steps yourself, pick up the phone and enlist the help of a professional. Bottoms Up – Protect your home’s basement by installing a sump pump. If you already have a sump pump, but have invested in having your basement finished -“ you may also want to consider having a battery operated backup pump, just in case. Finishing your basement not only adds living space to your existing home, but it also increases the enjoyment of the space for every member of your family. If you haven’t finished your basement, contact Highlight Home Restoration for a quote. Cabinet Clean-Up – Kitchen cabinets are notorious for collecting all sorts of grease and dirt from various sources such as stovetop cooking and oils from your skin. Be sure to clean them every couple weeks or whenever you clean the rest of the kitchen. Cabinets are often overlooked because their grime is not easily seen. However, you should be careful what you use to clean your cabinets. A cleaner containing large amounts of alcohol may penetrate a wooden cabinet’s finish, causing drying and cracking of the wood cabinet â€“ ultimately doing more damage than good. Test any product you are going to use on a small part on the inside of the cabinet door. We recommend that you clean your cabinets with a mixture of one gallon of water and 1/4 cup of mild soap or oil soap. Simply scrub the cabinets with the solution, and then use the dry rag to wipe off any moisture that is left. To remove sticky residue left behind by stubborn fingerprints, try rubbing the spots with mineral spirits and No. 0000 steel wool. Once clean, a good tip for protecting cabinets from future grease and moisture build-ups is to apply a coat of wax to them. To do this, use a light furniture wax â€” either liquid or paste will do the job. Rub the wax into one small area at a time in the direction of the grain. If you use a spray wax, make sure you spray it onto the cloth, not the surface because the cloth will absorb and distribute the wax evenly onto the surface. Repeat this every six months to keep the protective coat effective. Avoid mounting or placing any small appliances underneath your cabinets. The heat from these appliances will damage the integrity of the wood in your cabinets. QUICK TIPS: For cabinet interiors we suggest that instead of using shelf paper, use old place mats to keep kitchen shelves clean. One way to avoid direct contact with the cabinets is to add a ribbon pull that matches the decor of the kitchen to the handle or knob of the cabinet door. Make sure it dangles down enough so it is easy to grab and pull. When it gets dirty, simply throw it in the washing machine. If you want a new look in your kitchen, simply replace the hinges and knobs on the cabinet doors. They can drastically change the look of the kitchen without a lot of time and money. Some Like it Hot! : In order to properly maintain your hot water heater, you should follow these simple steps – 1. Turn off the Water Supply. If you have an electric water heater, turn off the power at the breaker-box. If yours is a gas heater, turn the thermostat to the “pilot” setting. Connect a garden hose to the drain valve located close to the thermostat, but don’t open the valve yet. Turn off the cold-water supply that feeds the water-heater. 2. Drain the Hot Water. Open up one of the hot-water faucets in one of your sinks or tubs. This will prevent a vacuum from forming in the lines. Go back to the water-heater, and open the drain valve to drain the hot water out of the tank. Make sure the far end of the hose is draining somewhere that won’t be harmed by hot water. (an outside driveway is ideal.) 3. Flush out the Remaining Sediment. Once the water stops flowing out of the far end of the hose, turn the water supply back on. This will flush out any remaining sediment left behind in the heater. Once the water runs clear from the end of the hose, close the DRAIN valve. Don’t forget to turn the hot-water faucet inside your house back off. The heating element could possibly blow if there is no water in the tank. Some tanks may need to be completely full in order to prevent damage. When in doubt, always read the warnings and instructions on the tank label carefully because each tank may vary! 4. Test the Pressure-Release Valve. Turn the power-supply to the water heater back on at the breaker box (or the thermostat), after the tank has filled with water. Once the water temperature has been brought back up, test the pressure-relief valve according to the manufacturer’s instructions. This safety device is designed to prevent excess pressure build-up or overheating inside the tank. If it’s faulty, you may need to have it replaced by a licensed plumber. Scrub-a-dub-dub – To avoid a major Spring Clean in your bathrooms each year, get into the habit of wiping down shower walls and tub after each use to eliminate soap and scum build-up. However – while you’re in spring-cleaning mode, pay attention to worn grout between floor tiles In the bathroom or kitchen. A small crack in the grout or caulk can lead to an expensive repair later. If necessary, re-seal as soon as possible. The Ground You Walk On – It’s important to maintain the carpet throughout your home. After all, carpet can either enhance or detract from the overall appearance of your home. In order to protect the ground you walk on, we recommend the following tips – 1. Get in the habit of removing your shoes before entering a carpeted room. Shoes can drag all sorts of unwelcome things into a home so considering placing a special mat or shelving unit at the door to hold them. Buy some slippers that can only be worn in the house to change into. 2. Keep a “carpet cleaning kit” handy. Begin by soaking up as much of the stain or spill with a lint-free rag as possible. Be careful not to rub as this will push the spill into the carpet fibers. 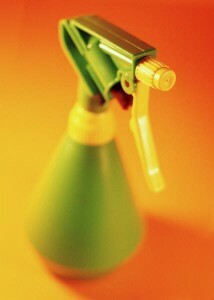 Coat the area with a dry, foam or liquid cleaner. The best bet is to let the cleaner set, and then remove as much of it as you can with a plastic scraper. This allows you to scrape away as much of the cleaner as possible without rubbing it into the carpet fibers. Once that’s done, blot away the rest with a clean rag. The last item in your kit should be a soft-bristle brush to brush the fibers of the carpet back into shape.3. Vacuum at least two times a week and more if the room gets a lot of foot traffic. Your vacuum is the best defense against early retirement for a carpet so keep it maintained. Change the bag before it gets full, remove debris such as string or fibers from the brushes (these cause the vacuum belt to work harder, possibly damaging the motor) and wipe the vacuum with a little white vinegar to keep it dust free. Always check the hose to see if any obstruction is blocking the airflow before starting it (pet hair and new carpet fibers lost from the manufacturing process can really clog the hose up). 4. UV rays from sunlight can age carpet so shut blinds or drapes before you leave for the day. This simple step will really make a difference in the longevity of your carpet, especially with darker carpet colors. Tip Top Shape – At the start of Spring, it’s a good idea to check your attic for proper ventilation and birds nests. Aside from the inspections mentioned earlier for water spots, roof flashing leaks and wet spots on insulation, you should also keep an eye out for obstructions over vents and damaged soffit panels. These things will ensure good airflow, which could save you money when it comes to cooling your home during the long hot summer. Remember to wear long sleeves and gloves to protect yourself from insulation when you’re rooting around up there. If necessary, you can add extra insulation to help the efficiency of your heating & cooling units. Spring is also a great time to consider a makeover! The talented professionals at Highlight Home Restoration can visit your home and develop a plan to increase the overall flow and enjoyment of the interior and/or exterior of your home. To get started, simply call us at (678) 873-9234 or e-mail us at info@highlighthomesga.com. To learn more about Highlight Homes and Highlight Home Restoration, we invite you to visit our website at http://www.highlighthomesga.com. Well-known for its durability, moisture resistance, and ability to enhance colors – lead was a common ingredient in house and furniture paint up until the late 1960’s and ’70’s. Once it was discovered that this particular element was extremely hazardous to people, especially children, the Consumer Product Safety Commission banned it from use in residences, household furniture, and children’s toys manufactured in the U.S. Unfortunately, lead still poses a health risk to countless Americans. Homes constructed before 1978 most likely contain lead-based paint. Peeling paint may indicate a risk that lead particles are in the air. 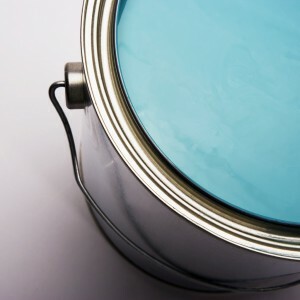 Infants and small children may eat paint chips and breathe the lead particles into their lungs. Sadly, exposure over time can lead to serious illness, even death. Why not just strip away all of the old paint and start fresh with a new coat of paint? Unfortunately, your family is at greatest risk when lead-based paint is stripped or sanded. Both of these actions release fine lead dust into the air you breathe. If you live in a home that was built before the late 1970’s, it is of utmost importance that you consult a professional regarding any renovations to your home. “Do it Yourself” is simply not an option when your family’s well-being is at stake. On April 22, 2010 – a Federal mandate regarding lead paint containment will go into effect and Highlight Homes of Atlanta will be prepared. As of this Spring, all general contractors who work on homes built before 1978 must be Lead Based Paint Containment Certified. If a contractor is caught performing work on an older home without this certification, they will face a fine of $32,500 A DAY. Before the mandate even goes into effect, Highlight Homes and Highlight Home Restoration will be a Certified Lead Containment Firm and Renovator in order to meet mandate guidelines and those set by the Environmental Protection Division of the Department of Natural Resources (EPD) and the U.S. Department of Housing and Urban Development (HUD). Highlight Homes welcomes the opportunity to help YOU “get the lead out.” We can not only aid in paint removal and renewal, but we can also help with all of your renovation needs from bathroom and kitchen remodels to basement finishing and general repair. To learn more or to schedule an appointment to discuss your needs and receive a quote, please call us at 678-873-9234 or e-mail us at info@highlighthomesga.com. While still in the grip of Winter’s chill, it may not be easy to think in terms of things like your air conditioning unit. However, now is the perfect time to get a jump on Spring by going “green” before the grass and those first beautiful little leaves on the trees do. Whether building a custom home from the ground up or renovating an existing home to restore it to its prior glory (or better), Highlight Homes and Highlight Home Restoration encourages each and every one of our clients to take simple steps that are not only eco-friendly, but are also healthier alternatives for both your family AND your wallet. Purchase energy-efficient appliances for your kitchen. A kitchen remodel is a terrific time to have this done, and you may even qualify for a nice tax credit during the next tax year to offset the cost. If you’re considering a bath remodel, you might want to have a low-flow or dual-flush toilet installed. In the event that you also need a new tub, many tubs and toilets are now being manufactured from post-recycled materials and include slick surfaces that reduce the need for “environmentally Unfriendly” bleach products. By replacing or installing insulated doors and windows in your home, you will reduce the amount of thermal transfer and cut down significantly on your energy bills. Need new flooring? You may want to consider using earth-friendly bamboo, which is sustainable, readily available and fast growing – so no need to lose sleep over cutting down a forest to have beautiful wood flooring. You can also use tiles made from recycled materials such as glass, plastic and rubber. The act of substituting your HVAC unit for a more energy efficient model – units with 15 SEER (seasonal energy efficiency ratio) or greater will mean lower energy bills and higher efficiency. You could also look into using a Geothermal model, which relies upon the entirely renewable resource of Earth’s thermal energy to heat and cool your home. Have a tankless water heater installed in your current or new home. No more waiting for the water to get hot (thereby saving countless gallons each day), plus you’ll help save the planet AND money in the process. Imagine never running out of hot water! Solar water heating through the use of solar panels connected to water tanks contained within your roof are quickly growing in popularity for their efficiency, as well. According to the EPA (Environmental Protection Agency), indoor air is 3x more polluted than outdoor air and is among the top 5 hazards to human health. Use of non-toxic paints such as natural, low VOC (volatile organic compounds) or zero VOC paints on the interior walls and trim of your home will reduce the levels of toxicity in the air your family breathes. Add insulation to your attic to help avoid heat loss during the winter months and air conditioning loss during those hot summer days. This simple addition will help you enjoy a warmer home in the winter and cooler home in the summer. To be a really aggressive eco-superhero, consider installing solar panels and wind generators to power your home. You could be the first one on your block to lead the way to the future of earth-friendly power. 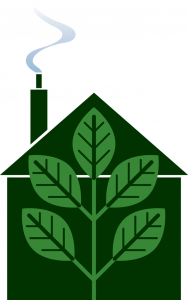 Highlight Homes and Highlight Home Restoration can help you and your family take steps to Going Green in the coming months. With our combined love of building fine homes and doing our part to protect the environment, Highlight Homes is most proud of our distinction for being a Green Builder. Aside from the great care we devote to developing special communities featuring an abundance of beautiful green space, we also place a major emphasis on designing homes and home additions that reduce energy consumption and material waste. The benefit to you can be found not only in your utility bills, but also in the comfort, durability and air quality of your home – effectively enhancing your family’s quality of life. Leadership in Environmental and Energy Design for Homes (LEED-H) Program: National system that recognizes excellence in Green Building – made up of volunteer mem-bers of the U.S. Green Building Council who lend their expertise to the technical develop-ment of its criteria to meet one of four different levels: Certified, Silver, Gold and Platinum. In 2008, Highlight Homes was recognized as having met the LEED Gold Standard. National Association of Home Builders (NAHB) Green Building Program: The NAHB hopes to move green initiatives into the mainstream for all of its builder/members by raising the bar with its recently developed National Green Building Program. Homeowners who buy homes with this distinction should know that their homes have met some of the highest standards set for Green Building. Energy Star Program: The Energy Star certification is based upon a set of strict guidelines established by the Environ-mental Protection Agency. Homes achieving this certification are at least 15% more energy efficient than homes built to meet the standard International Residential Code (IRC) established in 2004. Many Energy Star Homes include additional energy-saving features, making them typically 20-30% more efficient than IRC homes. Every Highlight Home meets the Energy Star standard. Earth Craft House Program: A regional certification program recognized in Georgia, South Carolina, Tennessee and Alabama – the aim of Earth Craft House is to help builders become better stewards of the environment. Homes built under these guidelines will be more energy efficient equating to reduced utility bills and a healthier living environment. Every Highlight Home that meets the distinction of becoming an Earth Craft House has demonstrated a 20-30% greater energy performance than a standard home. While we often construct homes to meet the criteria of these nationally and regionally recognized certification programs, we also set a higher standard for ourselves – aptly named “The Highlight Homes Method”. Thorough planning is crucial and occurs long before the home is actually built or renovation takes place. We continuously review the latest construction products and green building methods in order to best improve a home’s health, comfort and value as well as to reduce the overall operating cost. Site selection and stewardship are key to assuring we don’t negatively impact the environment in which a home will be based. Through appropriate design and responsible construction strategies, we can minimize the impact on the site because less time is spent on-site on building activities and staging. Energy efficiency is achieved through the use of the appropriate building science, technology and equipment – leading to lower operating costs for you. A Highlight Home is well-sealed and insulated – our thoughtful finish selections and quality construction practices will aid in enhancing the indoor environmental quality – safeguarding the health of the home’s future occupants – your family. In the end, we have an In-house Quality Assurance Team that thoroughly inspects the house not only once it is completed, but also throughout the construction process. We constantly strive to improve our construction practices, both for the environment and for the benefit of you and all of our homeowners. In the event that you choose to heed our advice and Go Green this Spring, but elect to go with another builder or contractor – we highly recommend you discuss your desire to use eco-friendly practices with your builder/contractor. Ask him or her questions about their use of green materials, construction techniques, and commitment to recycling and eliminating wasted materials. You can even go so far as to ask that old fixtures and cabinets be recycled (if possible), and that demolition debris be separated so recyclable materials can be reused. The folks at Highlight Homes and Highlight Home Restoration wish you the very best of luck in your quest to GO GREEN – whether it happens this Spring or sometime in the near future. After all, homeowners like you will help save the planet! If you would like to schedule an appointment to talk about your desire to Go Green with us further, we invite you to call us at 678-873-9234 or e-mail us at info@highlighthomesga.com. Gan, Kaja. “Going Green in Home Renovations.” (2007). www.superhomeideas.com. No matter the economic climate or the state of the housing market, as a people – we are often nomadic by nature. We seek change. We strike out in search of new horizons. Once we find what we’re looking for, we settle down and make a home for ourselves. This has been our way since the dawn of man. When you think of it – nothing has really changed in all that time. In recent years, Highlight Homes’ representatives have heard the following question echoed repeatedly, “Should I sell my current house and move into a new house in order to take advantage of record low house prices? I can get a lot more house for the money than I could a few years ago!” If you share this same sentiment, we pose the following questions and answers to help YOU find your way. How long have you been in your current house? If you’ve been in your home less than 10 years, the sad truth is you probably have NEGATIVE equity in your home – thanks to the sharp decline in the real estate market over the past 3 years. What do you believe your current home is worth? The Atlanta Housing Market enjoyed a virtual BOOM during 2001 to 2007. Due to the current economic state and the banking crisis, pundits predict that the majority of house values reflect prices that were seen as far back as the beginning of the millennium. Chances are that your home is not worth what you may believe it to be – and possibly less than what you paid for it. If you’re still serious about selling, a phone call to your lender might be the next best step. They can help guide you to figure out how much you still owe on your home and give you a ballpark figure on your home’s value with a “drive-by” appraisal. How many homes are for sale in your neighborhood? http://www.Trulia.com is a terrific online resource which allows you to type in your address to learn what homes in your general area are selling for and how much competition you might have out there. The answer to finding the best price to sell your home for is “virtually” right at your fingertips. Write down some of the addresses near you and hop in the car to take a look – you may actually find some For Sale by Owner properties during this field trip, as well. Are you aware of any foreclosures in your neighborhood? Foreclosures are the #1 factor in loss to property values in any given neighborhood. Bank and Mortgage Company-owned homes tend to go at bargain basement prices because the lender just wants the home off of their books. Therefore, even if you are fortunate to find a buyer who is willing to pay your asking price, an appraiser will likely be unable to get anywhere near it and will – more likely – come in closer to the foreclosure price. The question is can you really AFFORD to sell? What is the current condition of your home? Is it in good repair? Is it up-to-date? In order to compete in Atlanta’s competitive housing market – your home has to be at its best to attract potential buyers. Maintenance issues that need to be addressed or dated decor may serve to turn buyers away. What is the reason you are considering a move? Is this a WANT or a NEED? People move for all kinds of reasons. Goals such as better school system, better neighborhood, heightened sense of status, and to be closer to family & friends may feel like needs, but may actually fall under the “want” category. However, intentions such as the need for more space to accommodate a growing or blended family, relocation or job transfer, the inability to afford the house note due to job loss, divorce, and adult children leaving the nest are all “needs”. How stable is your/your spouse’s current employment? Having a stable job and solid job history will make a difference in your mortgage rates. If you are self-employed – you will probably have to provide more documentation than someone who is employed by someone else. If you are considering a move to a home with a larger mortgage payment, ask yourself if you can still make the payments if you or your spouse loses their job. Is your credit up to snuff? This is one of the #1 category Mortgage Lenders and Banks examine when you apply for a mortgage. It is vital that you pay all of your bills on time and keep close tabs on your credit. Lenders are far stricter than in years past – it currently takes about a 700+ credit rating just to qualify for a conventional loan for a new mortgage or to refinance your current home. These standards continue to change on an almost daily basis. Keep in mind that your lender will be looking at the “4 C’s” to determine if you qualify for a mortgage in today’s market: Capacity (the ability to repay), Cash, Credit & Collateral. What is your debt to income ratio? The debt to income ratio is a percentage used by lenders to determine if you can afford a home. Depending on the loan you are applying for – FHA, VA, Conventional, Jumbo, ARM (just to name a few) – these percentages can fall into different ranges based on your mortgage payment. Lenders will first look at the “front-end” – your mortgage payment divided by your income (ex. A $1500 house payment divided by a $5000 monthly income = 30%) – to fall no higher than a range of 31-49%. They then look at the “back-end” – all of your bills including house payment, utilities, car payments, credit cards divided by your monthly income (ex. $1500 house payment + $450 utilities + $800 car payments + $400 credit cards divided by $5000 monthly income = 63% ratio). In other words, add in groceries and a few other standard “life expenses” and you may virtually be maxed out month after month just to afford this house. So… now what? Unless their reasons for a move are reflected as a NEED rather than a WANT, more and more people are making the decision to STAY rather than GO. However, there is no reason for homeowners to feel STUCK – all is not lost. There are many affordable ways to gain that “change” you seek by freshening your existing home to make it seem like new again. Highlight Homes and our newest division – Highlight Home Restoration – can help! Heart of the Home – Kitchen Renovations are the #1 change that will add value and increase appeal to future buyers when it DOES come time to sell. In the meantime, you and your family can enjoy a possible new layout (which can often make the room seem larger), new countertops and cabinets, new energy efficient appliances and new up-to-date fixtures. Pamper Me – The #2 renovation would have to be the Master Bath. More and more homebuyers are looking for a master retreat where they can let go of their cares & woes. Wouldn’t you like to have that, as well? It’s amazing the difference a jetted tub, his & hers vanities with solid surface tops, an enclosed water closet and tile flooring will make to a bathroom. From Top to Bottom – If you have a bonus room or a basement that you’ve never finished, this is the time to do it! Not only will it vastly increase the living space for members of your family, but it will also increase your home’s value! When finishing, think in terms of rooms your family will enjoy most: Gameroom/Playroom, Media Room/Home Theater, Additional Guest Bedroom with Bathroom, Kitchenette/Bar. The possibilities are endless! Divide and Conquer – A growing trend we are witnessing is the use of an attached garage as a storage area and workroom. More and more people are electing to ADD space by building a detached garage with a bonus room above. This move allows you to place your storage items in the detached garage, use the space above as an in-law suite or office, and park your vehicles in your attached garage as originally intended. This is also a great idea if you’ve always had a carport in place of an enclosed garage! Go Outside and Play – A recent trend that continues to gain momentum is the addition of outdoor living spaces to existing homes. A deck with a pergola or a bricked patio with small enclosure offers the ideal space to get away from it all – right in your own backyard! A fire pit or small pond will add to your enjoyment all the more. Replacement of doors and windows with insulated products to aid with thermal transfer and help drive down energy costs. Replace HVAC with a more energy efficient model – units with 15 SEER (seasonal energy efficiency ratio) or greater will equate to higher efficiency and lower energy bills. Replace your water heater with a new tankless water heater. You will never run out of hot water, AND you’ll help save the planet AND money in the process! Add insulation to your attic to help avoid heat/air conditioning loss. Enjoy a warmer home in the winter and cooler home in the summer! While the housing market struggles to right itself, it might be wise to just stay put and weather the storm. The repair to appraisal standards will be slow and steady – many pundits predict home values will rise between +0.5-2.5% year over year for the next 7 to 10 years. In the event that you choose to stay in your home and heed our advice with regard to home improvements, Highlight Homes and Highlight Home Restoration welcome the opportunity to become your “Home Transformation Partners.” To request an estimate and schedule a personalized consultation with one of our skilled supervisors, we invite you to call us at 678-873-9234 or e-mail us at info@highlighthomesga.com. To learn more about Highlight Homes, please visit us online at www.highlighthomesga.com!